The leading independent specialist for windscreen replacement and windscreen repair based in Halesowen and serving all of the Halesowen area. National Windscreens Halesowen fitting centre provides windscreen replacement and windscreen repair services to businesses and individuals throughout Halesowen and the Halesowen area. 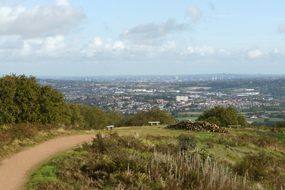 The town of Halesowen is located in the West Midlands and is well connected to Birmingham, Dudley, West Bromwich and the south thanks to its close proximity to the A456 and A458. The M5, M42 and M6 are all within easy reach, providing speedy access to the rest of the Midlands as well as London. The traditional economy of Halesowen was based on nail making, which was performed in the backyards of a large number of residential properties. Halesowen’s town centre underwent a £30 million regeneration programme in 2007-2008 which included the construction of a new Asda supermarket. The Halesowen windscreen fitting centre and its mobile vehicle glass technicians service the needs of Halesowen and the surrounding area including West Bromwich, Smethwick, Oldbury and Stourbridge. With 108 fitting centres and over 800 mobile technicians, National Windscreens operates the UK's largest windscreen repair and windscreen replacement network. The company provides low cost, high quality windscreen replacement and windscreen repair from its Halesowen fitting centre 24 hours a day, 7 days a week, 365 days a year. Repair and replacement of all types of vehicle glass including windscreens, rear windows and side windows is undertaken throughout Halesowen and all of the Halesowen area.